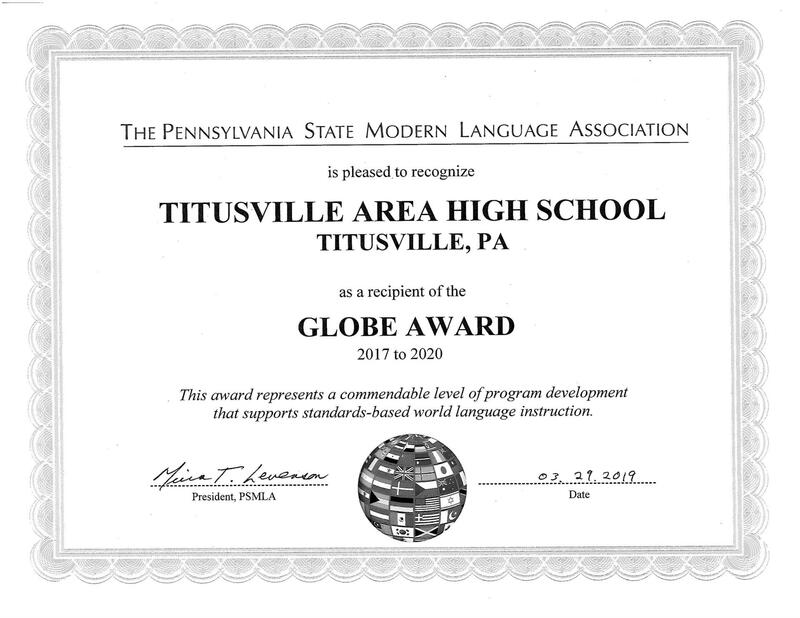 Congratulations to the district's foreign language program for earning the 2019 and 2020 PSMLA Globe Award. This is a prestigious, statewide award given to schools that provide evidence of high quality, standards-based, proficiency-oriented foreign language instruction. We recognize and commend the hard work of the foreign language teaching staff.